IFTTT is a service that uses the power of the Internet to connect and automate all sorts of apps, websites and products you use every day. Short for "If This Then That," the service allows users to create recipes by choosing a channel (like Facebook, Gmail, your Internet-connected thermostat, etc.) to trigger another channel so some kind of action can be taken. You can see a full tutorial here on how to use IFTTT along with a list of 10 of the best existing IFTTT recipes you can start using right away. If you don't yet have an IFTTT account yet, you can sign up for free on the web or do it through their iPhone and Android apps. IFTTT recently rebranded its app as simply just "IF," and also released a suite of new apps to give users even more options for fast automation of tasks. The three new apps now available are called Do Button, Do Camera and Do Note. For some users, sticking with the main app might be just fine. 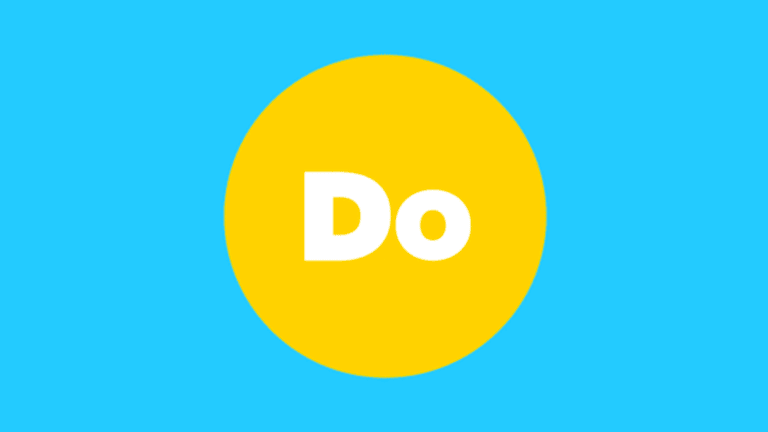 But for others who want fast and easy on-demand task automation, these new Do apps are a great addition to IFTTT. To find out how each of the three apps work alongside IFTTT recipes, browse through the following slides for a quick look at Do Button, Do Camera and Do Note in greater detail. You can download IFTTT's Do Button app for both iPhone and Android devices. The Do Button app lets you select up to three recipes and create buttons for them. When you want to hit the trigger on a recipe, simply tap the button for IFTTT to complete the task instantly. You can swipe left and right between recipe buttons for fast and easy access. It's a lot like a remote control for your recipes. When you open up the Do Button app, it may suggest a recipe for you to get started with. In my case, the app suggested a recipe that would email me a random animated GIF image. Once the recipe was set up in the Do Button app, I could tap the email button, which would instantly deliver a GIF to my inbox. Within a few seconds, I had received it. You can tap the recipe mixer icon in the bottom right corner of the screen to go back to your recipe screen and press the plus sign (+) on any empty recipes to add new ones. You'll be able to browse through collections and recommended recipes for all sorts of different tasks. Integrates with many third party services. Efficiently remote control services and apps. Can only connect one action to a button. You can download IFTTT's Do Camera app for both iPhone and Android devices. The Do Camera app gives you a way to create up to three personalized cameras through recipes. You can snap photos right through the app or allow it to access your photos so you can automatically send them, post them or organize them through all sorts of different services. Like the Do Button app, you can swipe from left to right to shift through each personalized camera. One of the easiest ways you can get started with the Do Camera app is with a recipe that emails yourself a photo you take through the app. Keeping with the 'Do' theme here, Do Camera functions a lot like the Do Button app -- but was made specifically for photos. When you use the recipe that emails you a photo, the screen activates your device's camera. And as soon as you snap a photo, it's instantly sent to you by email. Don't forget to navigate back to the main recipe tab to check out some of the collections and recommendations. You can do everything from add photos to your Buffer app, to create photo posts on WordPress. Makes sharing photos automated and efficient. Send photos to multiple services. Only supports a single action. More complex automation isn't possible. You can download IFTTT's Do Note app for both iPhone and Android devices. The Do Note app lets you create up to three notepads that can be connected to different services. When you type your note in Do Note, it can instantly be sent, shared or filed away in almost any other app you use. Swipe left or right between your notepads to access them quickly. Recipes that work with Do Note display a notepad area that you can type on. For this example, let's say I want to email myself a quick text note. I can type the note in the app, then hit the email button at the bottom when I'm done. The note will instantly appear as an email in my inbox. Because IFTTT works with so many apps, you can do so much more beyond simple note-taking. You can use it to create events in Google Calendar, send a tweet on Twitter, print something via an HP printer and even log your weight to Fitbit. Send text to third party services. Only one action per text.